The Angis Maintenance Service offers an array of services from carpet cleaning with the latest truck mounted equipment to power washing, and everything in between. We are offering free estimates within 48 hours on all our janitorial services - not many companies being in business since 2004 can say they still value the customer enough to do that! We are more than happy to offer our employees opportunities to better their experience and certification by offering specialize training to ensure that you our customers, receive the highest quality service, each and every time. Our experienced staff understand the changes that every business owner goes through trying to focus on the bottom line in today&apos;s busy economy, which is why we have perfected a floor stripping and waxing procedure that will add years to your flooring. We take pride in handling every single job regardless of how big or small it is. As a matter of fact; there is no job too big for us to handle! 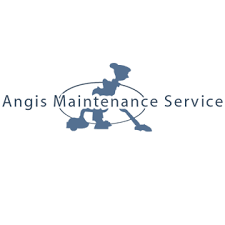 Angis Maintenance Service now has pressure washing service available. Pressure washing can help cut cleaning times tremendously in your restaurants and diners. With cutting this time, you will see that both you and you customers will appreciate it much more. We at Angis Maintenance Service are happy to offer you an excellent cleaning service to you and your business at a very reasonable rate. Just give us a call and schedule your free estimate. We will be happy to discuss options, cleaning schedules, and timelines with you in order to build a free estimate to have delivered to you within 48 hours of our meeting. Angis Maintenance Services is a locally owned and operated, service-oriented company dedicated to providing top-notch commercial cleaning services for offices, retail stores, restaurants, clinics, hospitals, schools, markets, and other commercial establishments throughout Long Beach and surrounding areas. Since 2004, we have dedicated ourselves to providing top quality cleaning services for all our clients. We make sure that from start to finish, we take expert care of all your cleaning needs. From regularly scheduled janitorial services to pressure washing, floor stripping, floor waxing, carpet cleaning, to bathroom deep cleaning, and kitchen deep cleaning, you can be sure you&apos;re getting outstanding value for your money every time you come to the seasoned cleaning professionals here at Angis Maintenance Services. For clients who sign up for the 1-year contract, we provide free pressure wash service. Here at Angis Maintenance Services, we believe that each client has varying cleaning requirements. This is why we take the time to listen to your needs in order to determine what it is you want to accomplish with our services. We come up with customized commercial cleaning solutions that are tailored to your precise needs as well as your budget. So if you&apos;re in Long Beach California or its surrounding areas and are in search of the trusted authority in top quality commercial janitorial and other related services, there&apos;s only one name to keep in mind - Angis Maintenance Services!